Nearly all of the chickens are named after places and lakes in Alberta, where Nick and Britt celebrated their honey moon. Read below for a little bio on our feathered (and fluffy!) friends. Atha is one of the three Silkie Chickens residing at Offshore Acres. Rasied from a few days old, Atha is a personal favourite to many, Athabasca is calm and friendly and enjoys being handled. Atha also participates with Britt and wears her little red bowtie on occasion as well! The biggest personality of the girls! 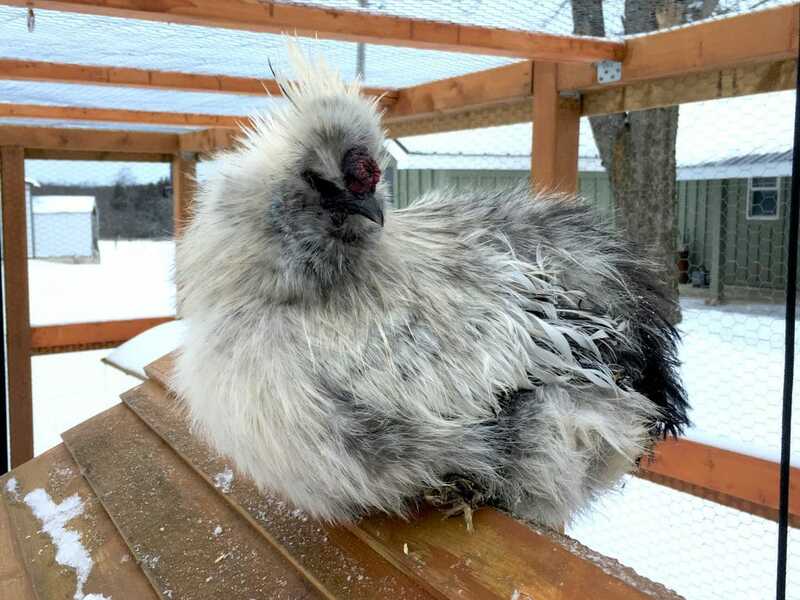 Jasper is a Belgian d’Uccle chicken, known for their feathery feet and moustache type facial feathers. Jasper is bouncy and funny, and always curious – first to explore new things. She’s always leaping and hopping around, and inquisitively takes in everything she encounters. Peyto is one of the three laying hens at the farm. One of our bigger chickens, Peyto happily lays an egg nearly every day for us; even in the winter! She is always the first out to the feed in the morning and a strong, hardy girl. We are fortunate to have her at OA and our friends and family enjoy the lovely eggs she provides us. Our Silkie Rooster, Johnston is usually the first to grab the attention of guests. He is very large, fluffy and has a adorable personality that you can’t help but smile at. Johnston is mostly known for his funny antics at dusk every night. While the other chickens easily go into their coop for the evening, Johnston cannot figure out how to enter the coop, and circles around the ramp for about 15 minutes before he gives up and lays underneath. Like clock-work every evening, Nick and Britt lift him into the coop to join the rest of the group. A character for sure! Johnston also calls back to us in the evening only, so he makes an awful alarm clock! You wont hear a peep from him at dawn! 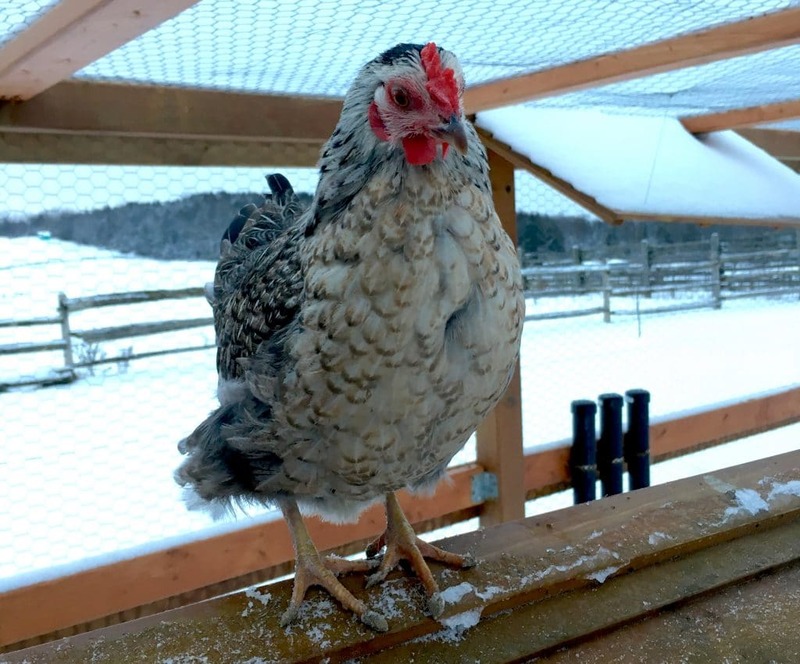 Bow is a second laying hen at OA. She has a smaller stature, but a beautiful look about her. 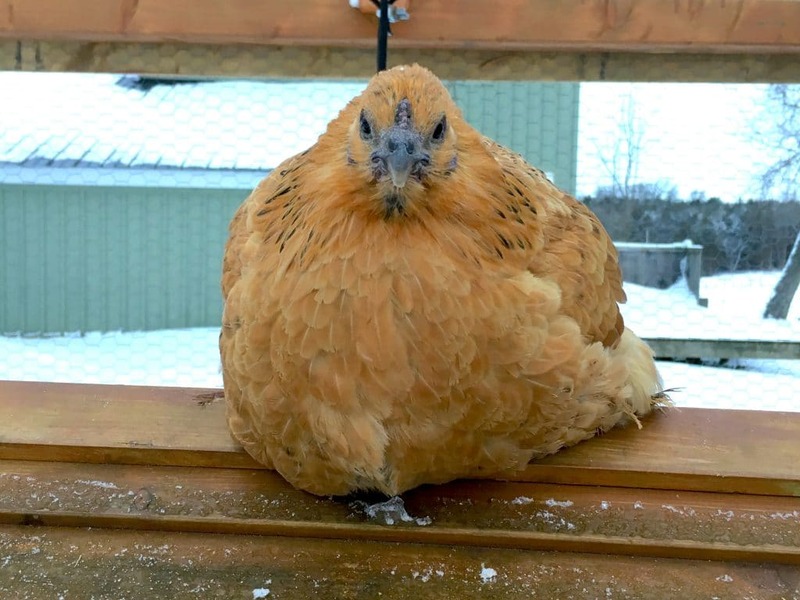 Her colouring is beautiful, and she lays perfect eggs for us! Bow thoroughly enjoys digging and fluffy around in the sand, and can constantly be found in the sandbox. To really make her day, fluff up the sand with your hand and watch her run over and start digging in it! With colours and patterns that will catch anyone’s attention, Moraine is just as beautiful as the lake she was named after. 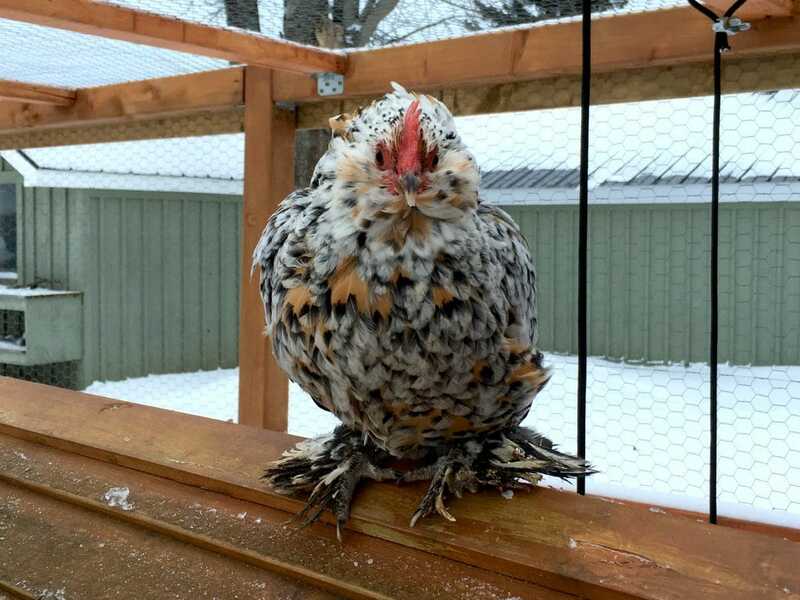 Moraine is a Belgian d’uccle like Jasper, and they are both bantam chickens and quite a bit smaller than the rest. 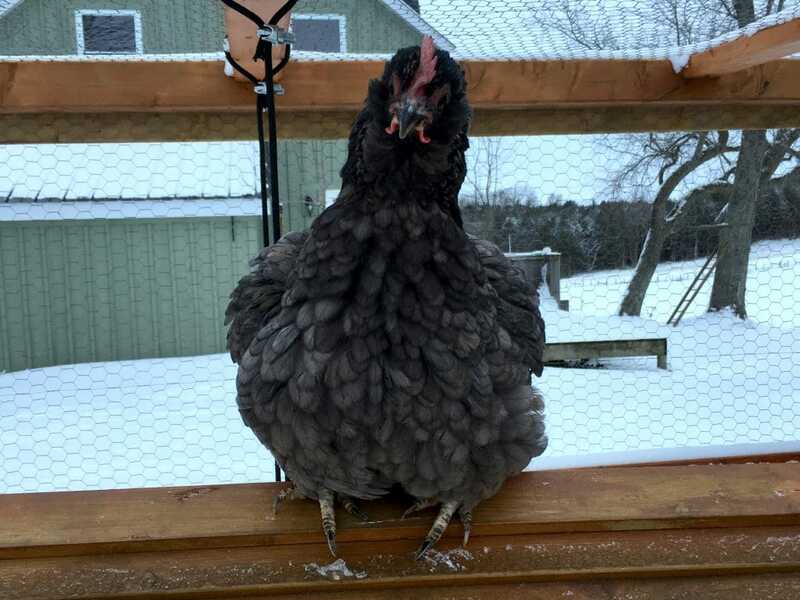 Although Moraine is one of our smallest chickens, her big personality makes her fit in with the rest just fine! 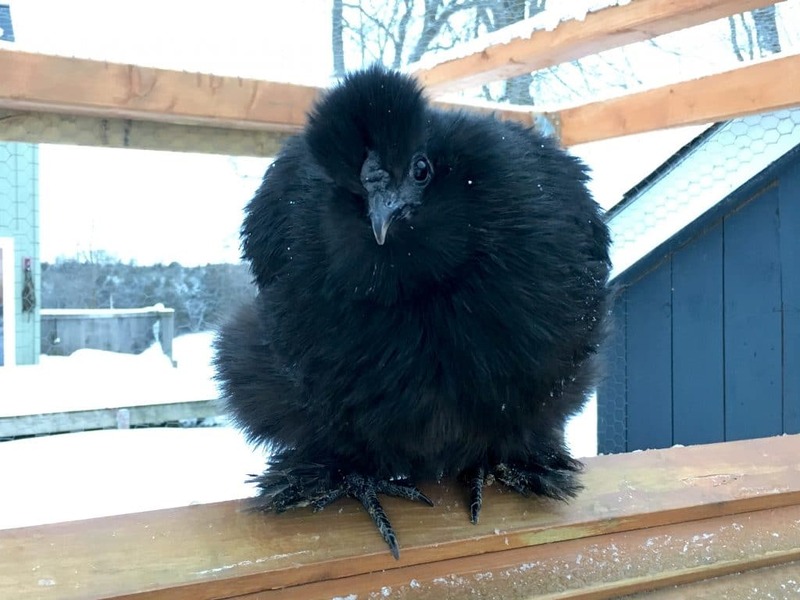 A gorgeous little chicken. 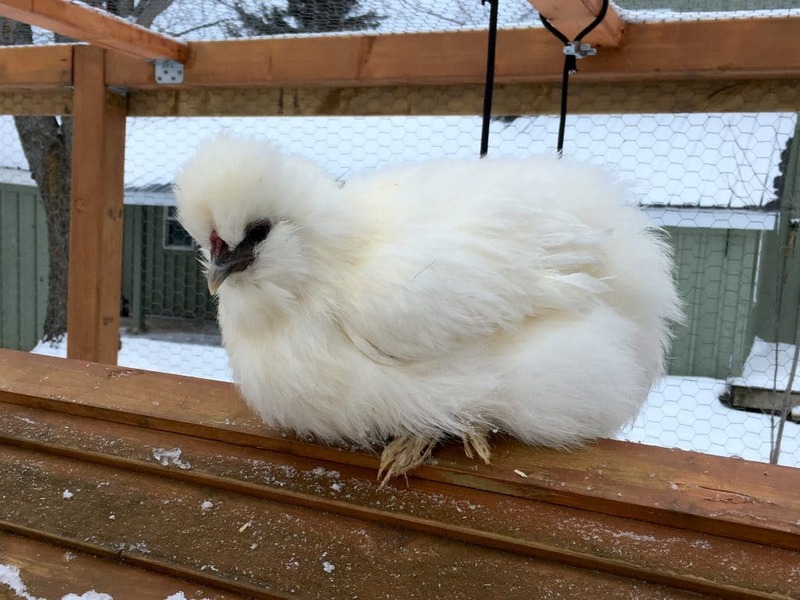 Our gorgeous Silkie hen with the most beautiful bright blue ears! Louise, like Athabasca and Johnston, were raised from chicks by Britt and Nick. 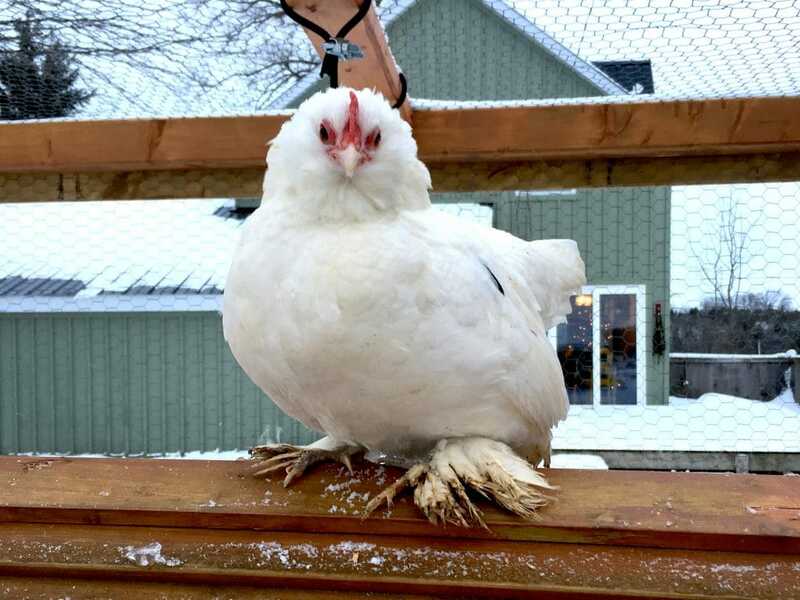 She’s a soft, bright white hen, with a gentle personality. Her bright blue ears contrast her pure white feathers. A really pretty addition to the OA family. Ron is our most recent addition to our little flock. Ron came to us through a friend after having quite the ordeal. Ron survived an attack that we were all certain would have killed her. This strong-willed hen has a few war wounds to show off, but it hasn’t faltered her in the least! Ron is back laying eggs, and is a great broody hen. She’s usually found sitting on a few eggs at a time!